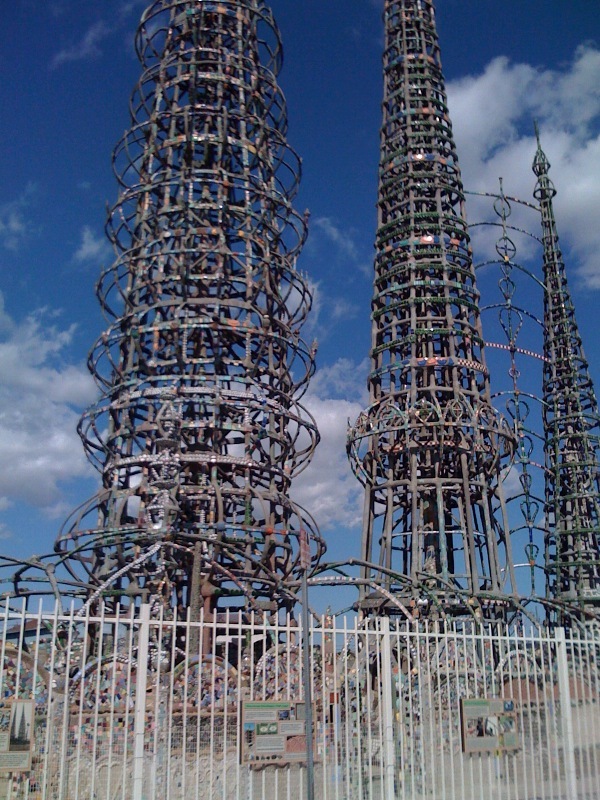 I stumbled upon the Watts Towers several years ago, and it was love at first sight. This amazing large-scale work of art is a perfect illustration of the profound truth that there is great beauty to be found in things (not to mention people and places) that have been discarded or written off by a society that likes the shiny, the new and the whole. My hope for my own art—and for my life, for that matter—is that I will develop the kind of eye for potential that Mr. Rodia exhibited. If I can recognize, embrace and celebrate unexpected beauty—and reflect back just a fraction of what I find—I will have done well, I think. 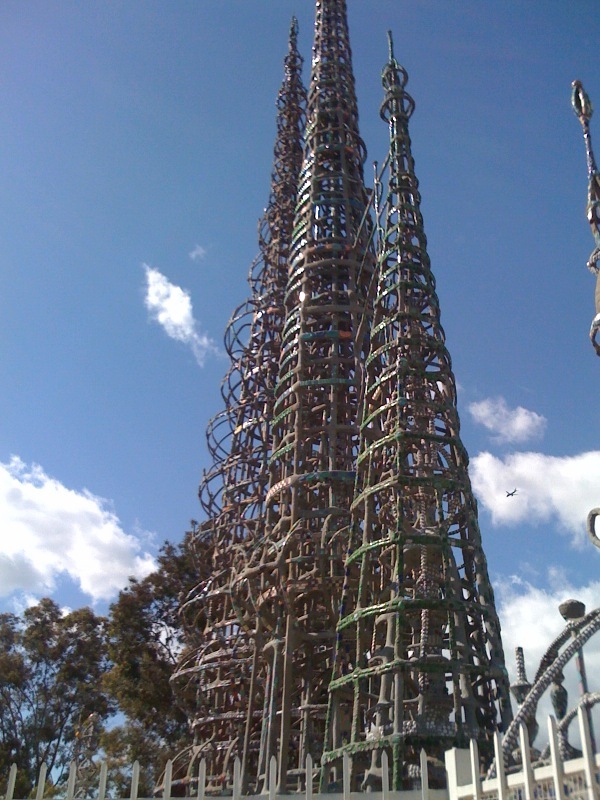 This entry was posted in Uncategorized and tagged art, city, Los Angeles. Bookmark the permalink. Other artists create beautiful and interesting things from “trash,” but the scale of this work is remarkable. Can’t wait to see them in person!